"In August 2007, Nikon invited technology journalists from around the globe - including us - to take part in the D3 and D300 launch announcements in Tokyo, as well as tour the company's Sendai, Japan manufacturing facility where the D3 is being built," writes Rob Galbraith. "While at Sendai Nikon, no pictures were allowed to be taken inside factory buildings, but Nikon has now supplied us with photos showing some of the manufacturing activities we saw when there, including the D3 being assembled." Rob then displays a series of images from inside the factory that I find fascinating. If you've ever wondered what it looks like inside the facility where top of the line Nikon bodies are assembled, then you should take a look at this article. 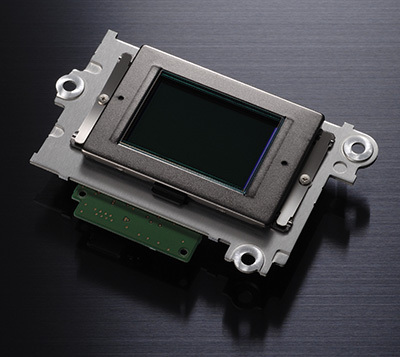 Image of a Nikon D3 Image Sensor Unit provided by Nikon USA. Hello there, cheers for a fantastic post, a truly great beginning to the new year, keep up the fantastic work, Rachel. Hello, thanks for a fantastic blog, a really great beginning to the 2010, keep up the excellent work, Tonia. Hello, thanks for this wonderful post, a really great opening to the 2010, keep up the great work, Tonia.